Tag Archive | "business firms"
Declining profits, as well as tighter profit margins will force the banks to close about 5,000 branches nationwide by the year 2012 according to a research note made by bank analyst Meredith Whitney on Monday. Whitney Meredith, CEO of Meredith Whitney Advisory Group LLC, informed that the decreased desire of consumers and corporate firms to borrow, along with the new bank regulations, have permanently changed the key source of industry profits. 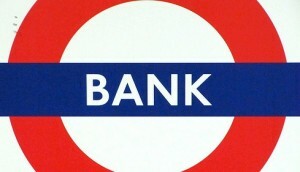 As a result, banks might be pushed to close some of their branches. There were about 83,320 US commercial bank branches recorded at the end of last year. Average loan-to deposit ratios of banks have significantly dropped to 78 percent, which is a 16-year low according to Whitney. This is already a sign that both consumers and business firms have dropped their desire for borrowing. Banks would be unable to earn money from the interests they charge to borrowers if there are fewer new loans. Also, they would be unable to pay out for the deposits. In addition, Whitney said that the Dodd-Frank Act will limit fee income, which has accounted for about 44 percent of banks total net revenues. According to Whitney, they believe that the most regrettable and unintended consequence of the hastily written regulatory reform will be the unavoidable ‘de-banking’ of the financial system in the United States. Whitney projects 41 million households in U.S will not have access to banking services, which will be an increase from 30 million households in 2009.